“Survivor” 1964 Jaguar E-type 3.8 liter Series 1 Roadster with 100% original factory paint and interior. Sold new in Atherton California; always garaged; never scratched; 46K original miles. Original factory soft top material. All numbers match per Jaguar’s Heritage Certificate. Solid factory-original metal throughout. 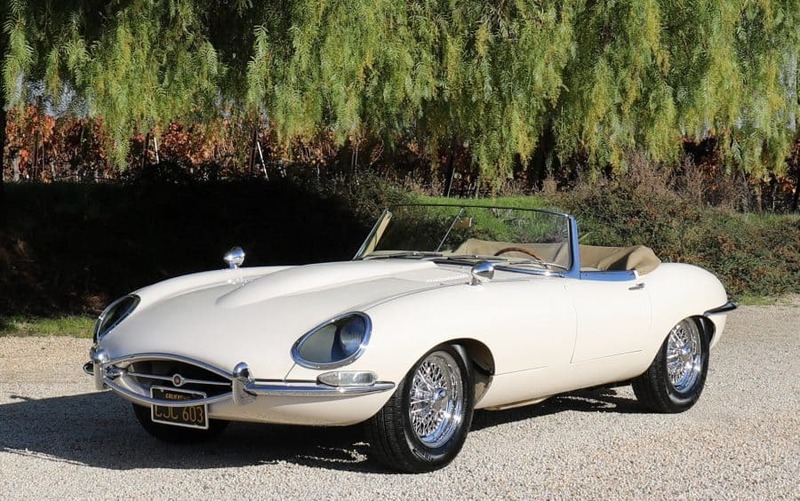 Surely among the finest original 3.8 liter E-type Roadsters in existence. Comes with an extra set of wheels. We go to extents to document our cars in pictures and provide the most transparent listings on Ebay. Please study the pictures carefully rather than requesting descriptions. Please complete any inspections or ask any questions prior to bidding or committing to buy the car. Thanks for the interest!